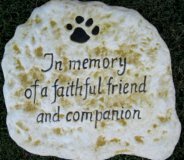 Add one of our concrete pet memorial to your garden or home. 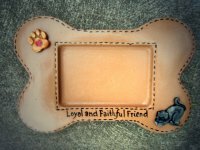 They are totally fine to place in the elements as they are completely weatherproof. 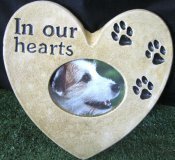 We specialise in making our products to suit your needs. 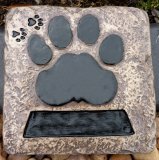 They can be made as hanging plaques or we can supply concrete slopers for you to prop them up in the garden. 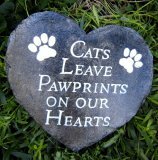 When one of our furry family members leave us, its a way of remembering their favorite place in the garden or a tree they loved to lay under. 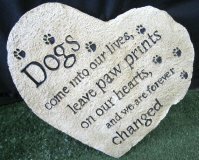 By placing a memorial in there memory we keep them close to us and give us a place to reflect about the time they stole our heart. 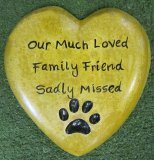 Names and dates even personal quotes or poems can be created please just put us to the test to create your own personal feelings. 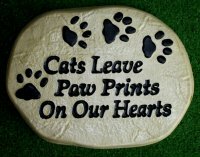 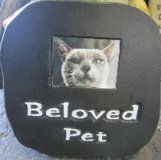 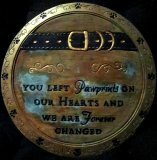 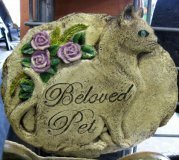 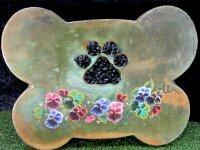 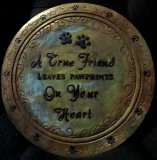 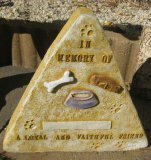 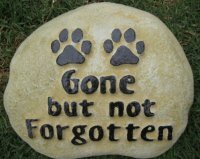 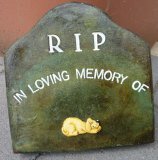 Concrete pet memorial ideal product to highlight the spot in the garden or hang on a wall in memory of a beloved pet.